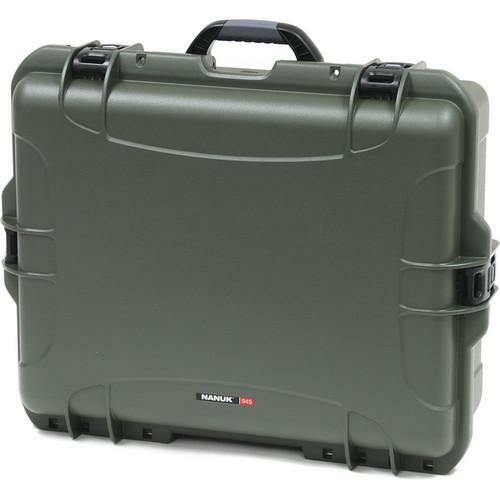 We recommend checking out our discussion threads on the Nanuk 945 Case with Padded Dividers (Olive) 945-2006, which address similar problems with connecting and setting up Hard & Watertight Cases Nanuk. 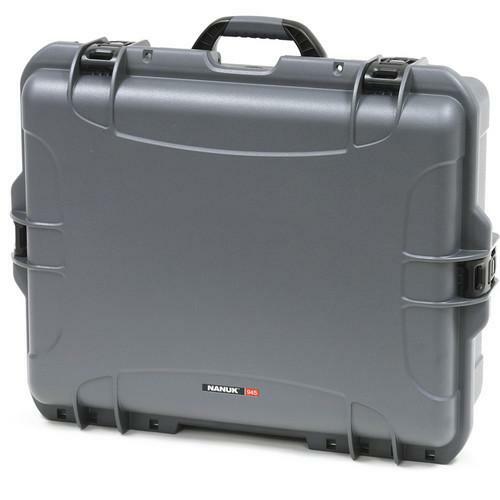 The user manual for the Nanuk 945 Case with Padded Dividers (Olive) 945-2006 provides necessary instructions for the proper use of the product Photography - Bags & Cases - Hard & Watertight Cases. The olive, waterproof 945 Case with Padded Dividers from Nanuk is a crushproof hard case made from lightweight NK-7 resin that protects and stores sensitive gear, such as your DSLR with an attached lens, four additional lenses, plus a flash, compartmentalized within a 14-piece touch-fastened padded divider insert. 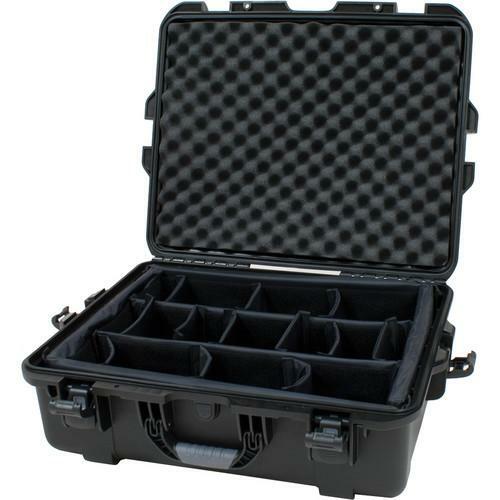 An optional multi-layered cubed foam insert (sold separately) can replace the padded dividers, containing pre-scored squares that can be individually removed to accommodate the shape of your gear. The dustproof case secures with the Powerclaw latching system. The system includes a patented Powerclaw latch that uses compressive force to tightly clamp the case shut, plus an integrated slide lock to prevent the case from opening during transport or when dropped. For additional security, there are hasps for adding optional 900 Series Nanuk padlocks or a tie lock when traveling. 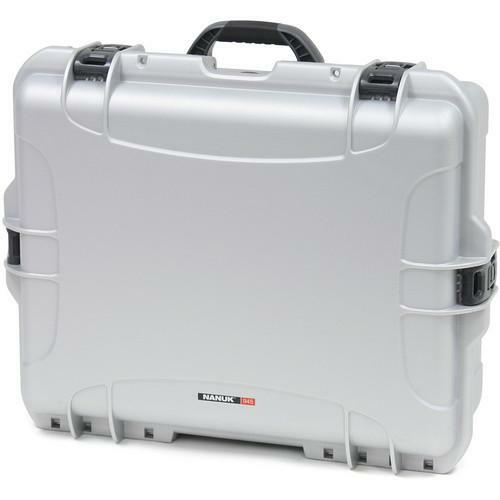 The case features stainless steel hardware and can be carried using a foldable soft-grip handle at the top. The handle structure is molded with the NK-7 resin and is covered with a soft shock-absorbing rubber, for comfort in carrying heavy loads. Integrated stays in the handle keep it folded down, avoiding damage during transport or shipping. For additional comfort in transporting the case, an optional stretchable neoprene shoulder strap can be easily attached without extra hardware. If you own a Nanuk hard & watertight cases and have a user manual in electronic form, you can upload it to this website using the link on the right side of the screen. 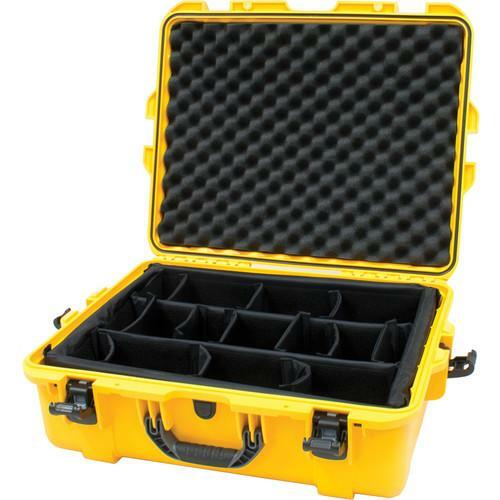 Box Dimensions (LxWxH) 25.0 x 21.0 x 10.0"
The user manual for the Nanuk 945 Case with Padded Dividers (Olive) 945-2006 can be downloaded in .pdf format if it did not come with your new hard & watertight cases, although the seller is required to supply one. It is also quite common that customers throw out the user manual with the box, or put the CD away somewhere and then can’t find it. That’s why we and other Nanuk users keep a unique electronic library for Nanuk hard & watertight casess, where you can use our link to download the user manual for the Nanuk 945 Case with Padded Dividers (Olive) 945-2006. 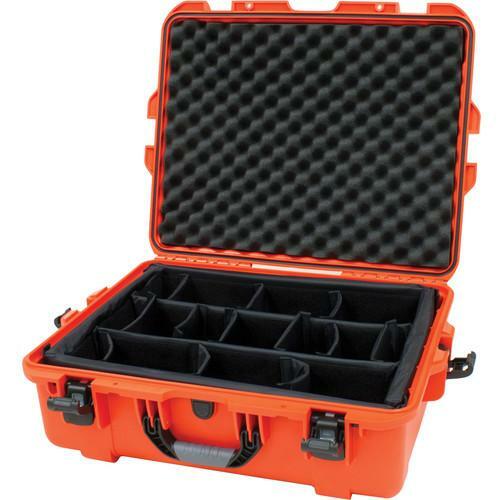 The user manual lists all of the functions of the Nanuk 945 Case with Padded Dividers (Olive) 945-2006, all the basic and advanced features and tells you how to use the hard & watertight cases. The manual also provides troubleshooting for common problems. Even greater detail is provided by the service manual, which is not typically shipped with the product, but which can often be downloaded from Nanuk service. If you want to help expand our database, you can upload a link to this website to download a user manual or service manual, ideally in .pdf format. These pages are created by you – users of the Nanuk 945 Case with Padded Dividers (Olive) 945-2006. User manuals are also available on the Nanuk website under Photography - Bags & Cases - Hard & Watertight Cases.